We began 2018 by taking stock of influencer marketing as it stands at the moment. We thought long and hard and came up with what we thought would be the Influencer Marketing Trends That Will Dominate in 2018. Three months on, we are taking a further look at we believe are the current trends in influencer marketing. Influencer marketing shows no signs of slowing down. It is still in its growth phase and is unlikely to reach its maturity pinnacle anytime soon. Here are another ten trends we currently see in influencer marketing. As influencer marketing becomes more the norm, firms in a broader range of niches are experimenting with it. There provides the flow-on effect of marketers finding more people with an online influence in their niche. Of course, these people have probably always been influencers. Their subject understanding was just not so publicly recognized previously. In some cases, influencers have found fame recently because of their expertise in relatively new fields of knowledge. 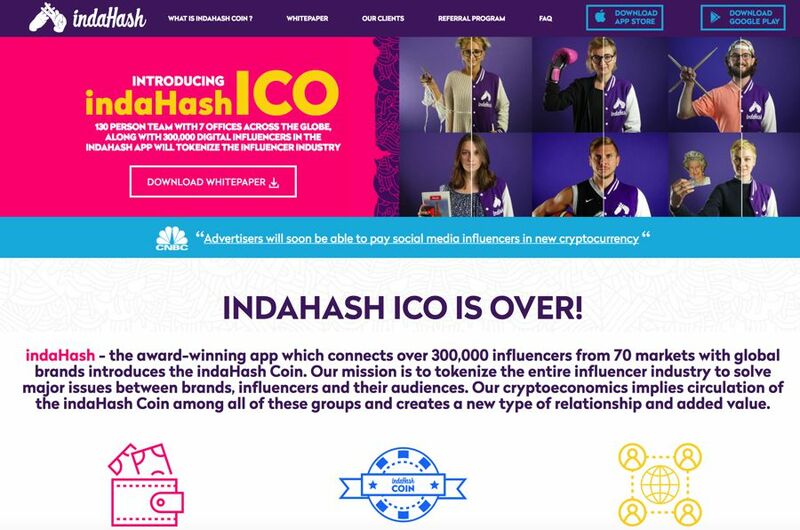 For instance, there has been a significant increase recently in online influencers attracting followers for topics such as cryptocurrency and ICOs. Influencer marketing is evolving. Subject experts are spotting gaps in the market where they can develop an audience and a reputation for their subject knowledge. Some people set a deliberate goal for people to recognize them as an influencer. They spend much of their day cultivating a social following and building an engaged audience. Facebook may be the best known social media network, and it has by far the most members. However, it is not usually the first choice for influencer marketing. Brands have discovered that the more visual networks, such as Instagram and Pinterest provide more significant opportunities for identifying influencers with a fervent follower base. However, you should not ignore the power of video. YouTube is growing in importance. If your product has a young customer demographic, there is a good chance that your potential customers spend much of their time on YouTube. The key to success on YouTube is to work directly with the influencer channels, rather than just relying on YouTube ads. You have little control over who sees your ads – they may even play on wholly inappropriate videos. However, if you work closely with a channel, you know with an element of certainty who is going to see your material. You do need to research YouTube influencers first, however. It is essential that you select influencers who make a good cultural fit with your company’s core values. We have recently covered the rise of specialist live streaming sites Twitch and Musical.ly. In many ways, this is an extension of YouTube’s success. Video is very much a medium of choice in 2018. Both sites are somewhat niche. But they have dedicated, enthusiastic audiences. And influencers on these sites have surprisingly large, engaged followings. Both these sites are a haven for technically savvy youngsters who have grown up in a social world. They expect the world to be interested in their daily activities and have spent most of their lives in front of a camera. They are the selfie generation, but with recent developments in video, they are more than that. They are now the live video generation. If your target your product at gamers, you will find many Twitch streamers with large, active audiences of the types of people who should love your product. 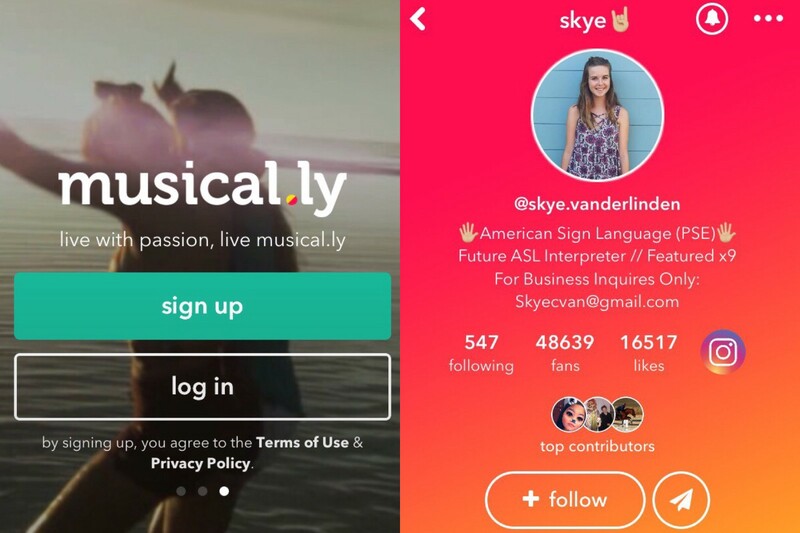 Similarly, if you target tweens (with a female skew), Musical.ly could be the ideal place for you to work with talented young influencers. The phrase “content is king” may be something of a cliché, but it is nonetheless true in this age of daily social media bombardment. The average person sees so many written, audio, pictorial and video items each day that he or she ignores anything irrelevant to his or her life. That includes anything that looks remotely like an advertisement unless it is for a product the consumer is actively looking for. The most significant advantage of influencer marketing is that you are working with people who have already earned respect with an audience. And if you have scrutinized potential influencers carefully, the ones you select should have an audience that matches your target market. Even these followers have little interest in blatant ads, though. But they are prepared to take a look at sponsored content if it appears to meet one of their needs. For instance, there is little point paying an influencer to share one of your television ads over their YouTube channel. Yet, you could succeed if you pay them to make an informative, and, entertaining video, which will interest people who could benefit from purchasing your product. That is one of the reasons that unboxing and review videos do so well. People are interested in seeing what they would get if they paid for your product, and most modern consumers are willing to see or hear a review from somebody they respect. One advantage that companies who work with agencies have is that they have somebody to remind them of the types of content that perform well. You may choose not to go down that path, but you still need to decide the story you want influencers to tell on your behalf. You need to work with your influencers to discover the types of content which their audience responds best to. With any influencer or social media marketing, you need to promote your product to the type of people who you think would like your product and benefit from using it. Often a brand will gain their best results by using a multi-platform approach. Why just use Instagram influencers, when you could reach people interested in your product who spend their social time on Pinterest or Twitter? The pivotal question you have to ask yourself is, where does your target market spend their time online? Most people don’t limit themselves to just one social network. Even in a narrow niche like gaming, you will find that participants spend time on both YouTube and Twitch, with many on Instagram as well. Many influencers have a multi-channel presence, as well. For instance, when we wrote 15 Fashion Influencers to Follow we discovered that everybody we looked at had a sizeable presence on a range of social networks. Camila Coelho, for instance, had 6.2 million Instagram followers, 656,000 Facebook fans, 279.000 Twitter followers, 3 million following her Portuguese YouTube channel, and a further one million following her English YouTube channel. If you limit your influencer marketing resources to working with influencers on a single social network, you are ignoring possible customers on other channels. There may well be some overlap between a person’s social media followers on different networks, but there will be people who spend time on only one or two of these social platforms. Brands are discovering this now and leveraging the skills and strengths of their influencers across a range of social networks where their potential customers socialize online. This helps expose a brand to a broader range of people than just focusing on a single platform ever could. Over the last few years, people have become wary of advertising. In fact, many online users “suffer” from banner blindness – they don’t notice banner ads anymore. Ads disappear into the peripheral on a webpage, and most users ignore them as much as they do sections of the design or legal writing. Indeed, this hatred of advertising goes wider. The younger generations intensely dislike all kinds of advertising, even on traditional media. Television advertising is no longer the pinnacle of advertising success that it once was. For this reason, early influencers were conservative in what the disclosed to social audiences. They made the majority of their paid posts look the same as their standard posts and did not tell their followers about their commercial arrangements. Some influencers paid lip service to disclosure, by using a hashtag like #sponsored or #ad on a caption to a post. Influencers often place these in obscure positions though, for instance in the caption of an Instagram post, far enough down that somebody would have to scroll to another page to see it. We have previously looked at the FTC interest in influencer marketing in What are the FTC Social Media Guidelines that Influencer Marketing Professionals Should Adhere to? The FTC makes their position very clear. If a brand pays an influencer to makes a post (no matter whether payment is in cash or kind), then there is a material relationship. The relationship should be clearly indicated in the post. Instagram has realized the seriousness of the FTC’s stand and has created the Instagram Branded Content format to make the process easier on their network. The celebrity influencers who came under attack after they promoted the disastrous Fyre Festival learned that their followers expected honesty and transparency. This has now filtered through the industry. The reality is that consumers don't’ care about sponsored posts, as long as they contain useful content and do not have the look or feel of ads. Brands can still work with influencers to spread their message – they just do it openly and honestly now. And it is just as successful as ever. Of course, labeling your post #ad is probably not a good practice. It’s difficult to convince somebody that a post is not an ad if you have called it that – no matter how useful the content may be. The FTC is happy if you use a friendlier tag such as #XXPartner, e.g., #InfluencerMarketingHubPartner. 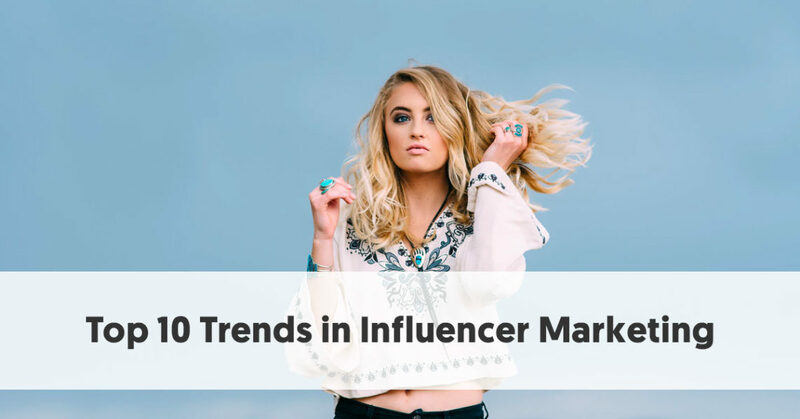 Although influencer marketing has traditionally involved brands working with influencers on particular campaigns, there is now a trend of brands sticking with their best influencers for more extended time periods. In many ways, this is following the pattern of celebrity marketing, where celebrities can become brand spokespeople over a range of separate campaigns. Think how long Spectrum Brands have worked with George Foreman as the face behind the George Foreman Grill (and how many campaigns he would have fronted over the years). Nowadays, many brands consider their influencers to be partners. This improves influencers’ attitudes to the brands they work with, and they, in turn, promote their products with increased enthusiasm. Generation Z spends more time watching YouTube than they do traditional television. This means that many of the YouTube influencers are real celebrities in the eyes of our youngest generation. There are a few niches where people can build up their reputations as micro- influencers, to the level where they became known to wider audiences, making them macro- influencers, if not full-scale celebrities. Zoe Sugg would be a case in point. She has so many social media followers that she is treated like a celebrity. As these influencers become better known, traditional media begins to take an interest in them, too. Both Tyler Oakley and Jenna Marbles have had television spots on The Late Late Show with James Corden. Jack Maynard appeared on I’m a Celebrity Get Me Out of Here. Many traditional reality shows feature celebrity editions. The guests in these are often people who have initially made their name online. For instance, Instagram celebrity Jess Quinn was recently announced as the fourth person to perform as a contestant in the upcoming 2018 New Zealand edition of Dancing With the Stars. Clearly, the online and offline media worlds are converging. Businesses often struggle to find influencers willing to work with them when they have to rely on organic influencer identification. To compound this problem, manual searching for and wooing influencers can be a slow process that may ultimately lead to unsuccessful results. This is particularly so for businesses attempting influencer marketing for the first time. Like all new activities, influencer marketing began on a small scale with little in the way of tools or shortcuts to makes things simple. As the industry matured, however, businesses spotted opportunities to smooth the process. Obviously, advertising agencies have existed for many years. Crime queen, Dorothy Sayers even set her 1933 Lord Peter Wimsey mystery, Murder Must Advertise in one. But it took some time for agencies to recognize the importance of online marketing, never mind social media and then influencer marketing. The landscape has changed, however. There are now quite a few specialist influencer marketing agencies, you can go to create and organize your influencer campaign for you. Many businesses don’t want or can’t afford to go down the agency path. They may be happier to have a close relationship with influencers but struggle to find suitable people. This is where the platforms come in handy. There are now many influencer marketing platforms that provide you with a streamlined way to find willing influencers with audiences that match your target market. Even if you opt to bypass using a platform or agency and attempt to build organic influencer relationships, there are now tools which can aid you. We recently looked at 15 free influencer marketing tools you can use to find influencers. The first businesses that tested the influencer marketing waters discovered that although gut feeling told them that their campaigns were successful, there were no consistent measures to show an ROI. This made it challenging to convince the C-Suite of larger companies the effectiveness of influencer marketing. Managers now realize that there is no catch-all ROI for influencer marketing. This is because it all depends on your goals. The critical first stage of an influencer marketing campaign is to set a specific goal for that campaign. This, in turn, leads to a corresponding ROI. If your goal is to increase sales, then you can easily measure your ROI in the conventional measurement of dollars. You provide your influencers with customized UTM parameters they add to any links they share. You can then use your Google Analytics (or another analytics tool) to measure the increased visits to your sales pages and sales made as a result. Alternatively, you might generate unique promo codes that each influencer can share with his or her audience. You will know that any sale made using a particular code is a result of a specific influencer’s posts. Brands often have a non-monetary goal for their influencer marketing, however. It may relate to increased brand awareness. In this case, businesses need to measure their ROI in some way connected to what they want to achieve. Perhaps they aim to direct more customers to their corporate social media pages or websites. In that case, they would focus on the statistics relating to reach and engagement. A recent trend has been to create customized hashtags for campaigns and then measure the success of each campaign by the extent of the hashtag usage. While this was a mixed campaign (in the sense that it was genuinely multi-platform and included dedicated social network accounts), it heavily used “super fans” of Twin Peaks as influencers to help drive the campaign. #TwinPeaks was used in over 950M Tweets. The series trended 27 times on Twitter, including every week of the 18-part return. The series trended worldwide 4 times. @SHOTwinPeaks was mentioned in 322K Tweets, with 105M impressions. Nearly 18% of Twitter conversation about TV on the day of the finale was about Twin Peaks, and #TwinPeaksFinale was mentioned over 67K times. No matter what goal you set for an influencer campaign, you should find a relevant ROI to measure your campaign’s success.